This article is not about this car seat story as its main theme. It is about this mother thanking a stranger who helped her get through that situation. But the car seat story was all I could focus on. 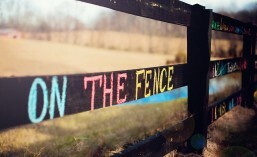 I hope it helps some people realize that even if it clicks, it doesn’t mean it is meant to be there. 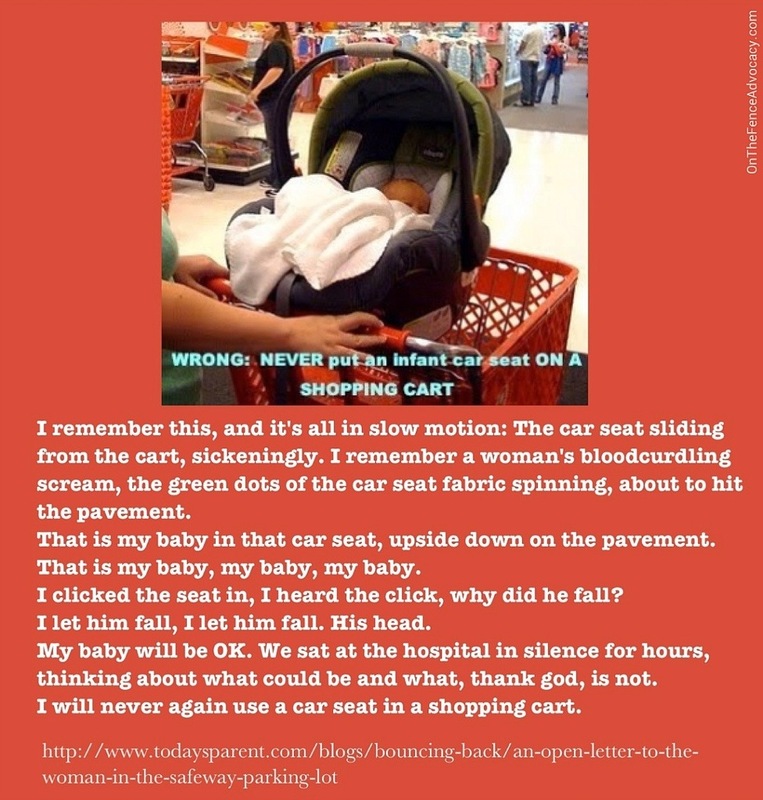 No car seats on top of shopping carts, period! “You don’t expect a life altering moment to happen at the grocery store. What you don’t expect, when you visit the grocery store on a rainy Saturday afternoon in June, is that something might happen in the parking lot, something that will seize your heart and shatter your spirit and leave you sobbing and clinging and waiting for the ambulance to arrive. You never expect life altering moments to arrive when they do, and when they happen you are woefully unprepared, shocked to discover this is happening to you. My Jeep was only a few steps away when the cart hit the yellow speed bump, and you may be able to relay the next moments better than I.
I remember this, and it’s all in slow motion: The car seat sliding from the cart, sickeningly. I remember a woman’s bloodcurdling scream, the green dots of the car seat fabric spinning, about to hit the pavement. I remember my legs, not fast enough, my lunge to retrieve him, weak and trapped in slow motion and I remember a tormented howl that let loose from my throat and hurt my ears. That is my baby in that car seat, upside down on the pavement. That is my baby, my baby, my baby.